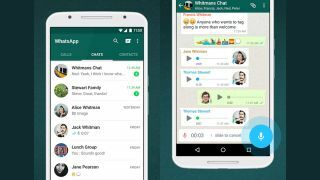 WhatsApp has launched new option to rein in chaotic group chats: only admins can post, and everyone else has to pay attention in silence. It might sound counter-intuitive for a chat app to prevent conversations, but the new feature is a handy way for one person to share news with several friends without being downed out as several smaller discussions kick off within the group, and animated GIFs push important information off the top of the screen. "One way people use groups is to receive important announcements and information, including parents and teachers at schools, community centers, and non-profit organizations." WhatsApp said in a blog post. "We've introduced this new setting so admins can have better tools for these use cases." If your voice is getting lost in a conversation, open 'Group Info', tap 'Group Settings' followed by 'Send Messages' and select 'Only Admins'. The new option is rolling out right now, so don't be alarmed if you can't hush everyone just yet.